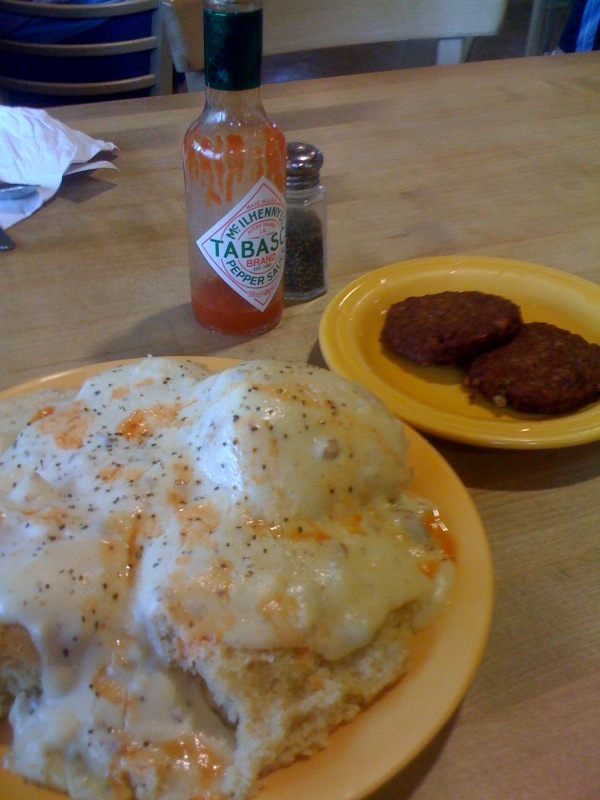 This is a “side order” of biscuts and gravy, I swear. I only ate half of it and still I feel like I’m gonna explode! Good but very, very bad!